The lines were the thing – long crystals at different angles. The ice patch is a couple of inches across. It looks as though someone filleted the ice, took the meat, and left the bones behind. Yes, they do look like fish bones! I enjoy finding refrozen ice like you have here, Tom. My next to last post was a wild one. One has to be careful not to fracture them. 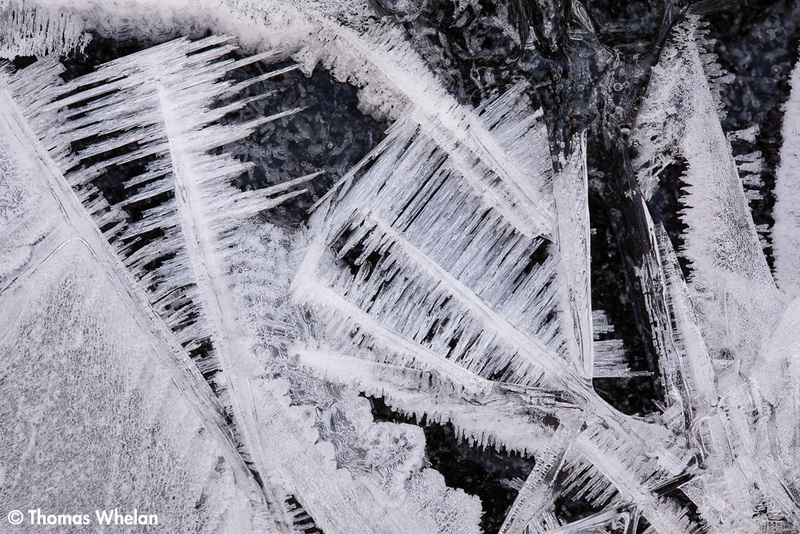 As much as I am enjoying making ice images this winter, I’ll be happy to shoot without gloves again. I’ve learned to be careful about breaking ice and crystals – but only after messing up a few beautiful things. Glad you’re getting out and about more!